Look how ugly these sandals are. They look like a radioactive gummy bear pooped on a milk crate. 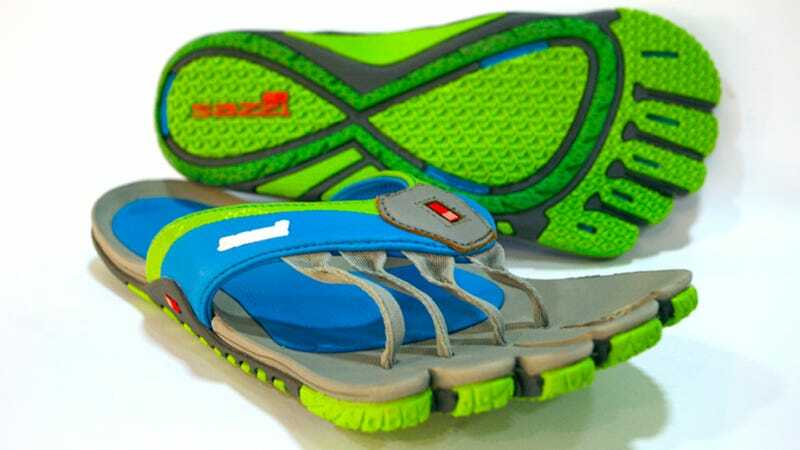 But these Sazzi sports sandals are actually biomimeticly designed to keep your feet safe from uneven terrain, if not deeply judgmental eyes. Barefoot running has been popular for a few years now. The five-fingered shoes you see pounding down the sidewalk really do help people stabilize themselves while they run by letting the muscles in your toes and feet do the work they were meant to do. Same goes for the Sazzi sandals, except, like, as sandals.